Hearts are always in!! This very popular adorable heart is sure to bring a smile!! 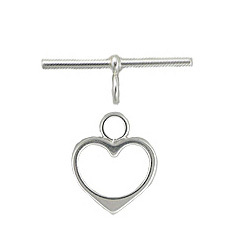 Toggle measures approximately 15mm at the widest part of heartand it is 17mm tall. The bar measures approximately 25mm.